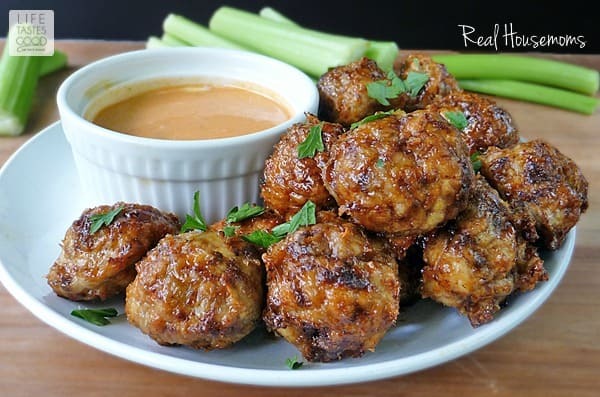 Spicy Chicken Meatballs with a honey glaze and Buffalo Ranch Dipping Sauce makes a great appetizer! 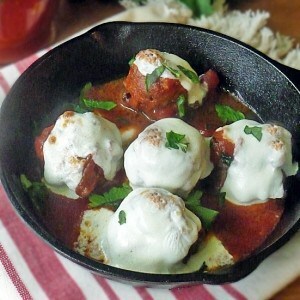 These chicken meatballs are so good, you might just make them your main course! On one of our recent trips to visit our daughter at college, she treated us to her favorite spot to eat wings. Wow! Was it good! We had some mighty fine wings that day, and the hubs goes on about them every time I serve my Honey Glazed Spicy Chicken Thighs. 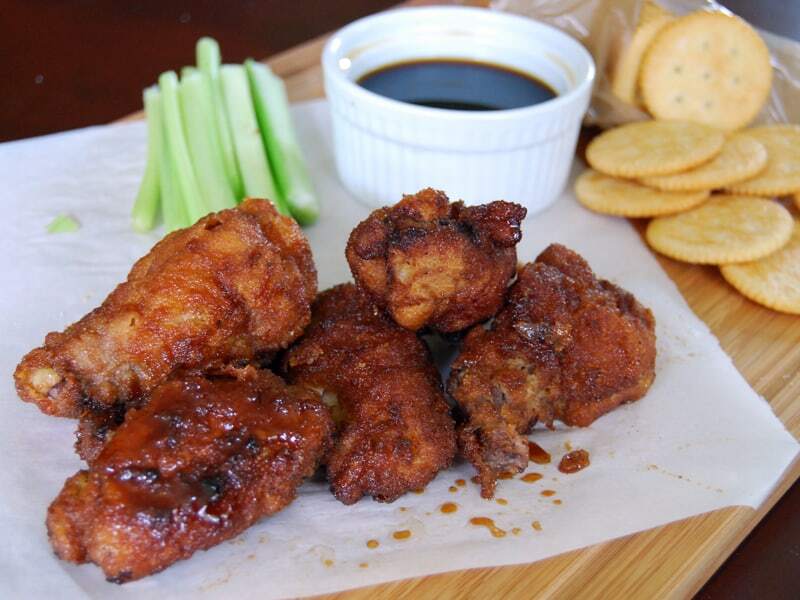 Ever since our college wing eating trip, Don has badgered asked me to make some of the boneless dippers with the same seasonings as my Honey Glazed Spicy Chicken. I finally got around to it and am sharing this delicious Spicy Chicken Meatballs recipe with you today! 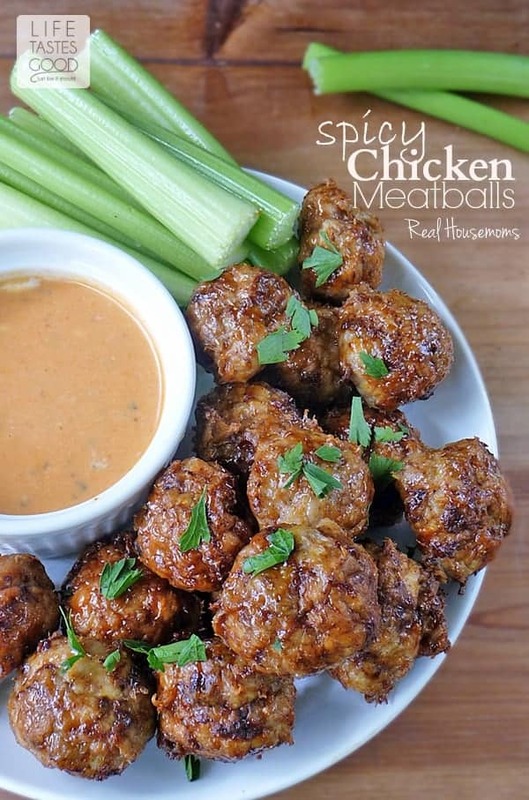 We really love a sweet heat and these Spicy Chicken Meatballs deliver on that for sure. 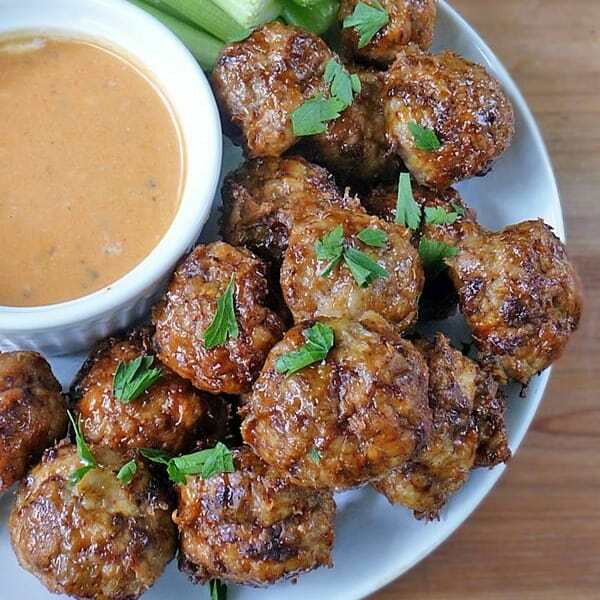 The meatballs are definitely spicy, but once you add that sweet honey glaze it cuts through the spiciness and delivers a delicious sweet heat that is just the right amount of spicy. You know you ate something spicy, but don’t feel like your mouth is on fire. I like that! Because Don wanted Boneless dippers, I made meatballs and they turned out great! Don’t you just love meatballs?! They are fun to eat and so versatile. You can change up what type of protein you use and the flavor combos are endless!! We dipped these sweet and spicy meatballs in a Buffalo Ranch Sauce, but they are good all on their own too! Preheat oven to 400°F and line a baking sheet with heavy-duty foil. I recommend using a wire baking rack on top of the foil if you have one. Spray the baking rack with cooking spray. If not using a baking rack, spray the foil or use nonstick foil. In a large bowl, combine 1 pound ground chicken with 2 teaspoons garlic powder, 2 teaspoons chili powder, 3/4 teaspoon kosher salt, 1 teaspoon ground cumin, 1 teaspoon paprika, and 1/2 teaspoon crushed red pepper flakes. Mix well until all the seasonings are combined with the chicken. Form the chicken mixture into balls and place in a single layer on the baking rack (or directly on the foil). I use a cookie scoop to form my meatballs. It makes quick work of the task and shapes them evenly. Continue making meatballs until all the chicken mixture is used. Place the baking sheet in the preheated oven and bake for 15 minutes. While the meatballs are baking, combine 3 tablespoons clover honey with 1 teaspoon cider vinegar and mix well. After the first 15 minutes of baking, brush the honey mixture onto each meatball, coating them generously until all the honey mixture is gone. Place the meatballs back in the oven for 10-15 minutes longer until the chicken is cooked through. Combine 1/4 cup ranch dressing with 2 tablespoons Buffalo Wing Sauce and 2 tablespoons honey. Mix well and refrigerate until ready to use. 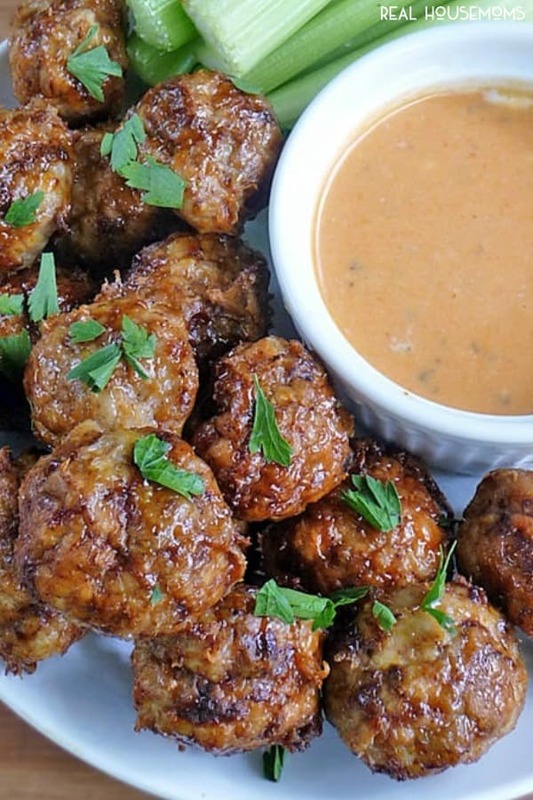 Serve the meatballs with the dipping sauce and enjoy! What a great idea! I’m always on the lookout for new ground chicken recipes, and those spices sound amazing together! Delicious! I just made extra honey cider sauce and served over rice. Hubby loved it. Thanks! What a great idea, Gloria!! My hubs loves everything over rice, so I’ll have to give that a try! So glad you liked it! Delicious! Great receipts. Thanks a lot for this interesting post. Hope you keep sharing more and more good receipts like this. the meat balls look yummy.